Add three new toms and endless new tones to your kit for the price of a single crash. These 6", 8", and 10" Remo Rototoms give your drum kit awesome new sounds. They feature a super heavy-duty plated counterhoop and tension rod for full-octave tuning on the fly or while playing. Roto-Trac bar allows free position adjustments. 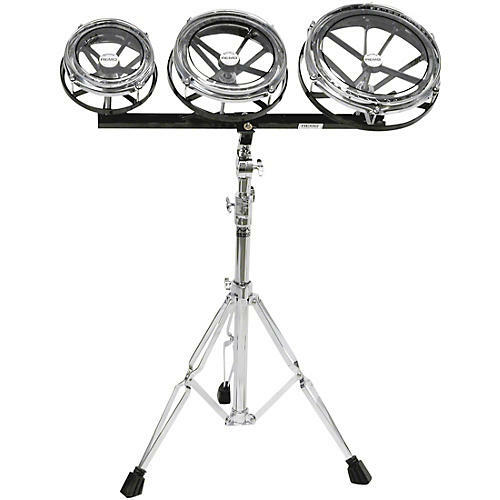 Its double-braced stand keeps it all right where you want it. Heavy cast frames in a black finish.